Hi everyone! I'm Tessa and my little guy is Thor, or Thornado when he's being rambunctious. 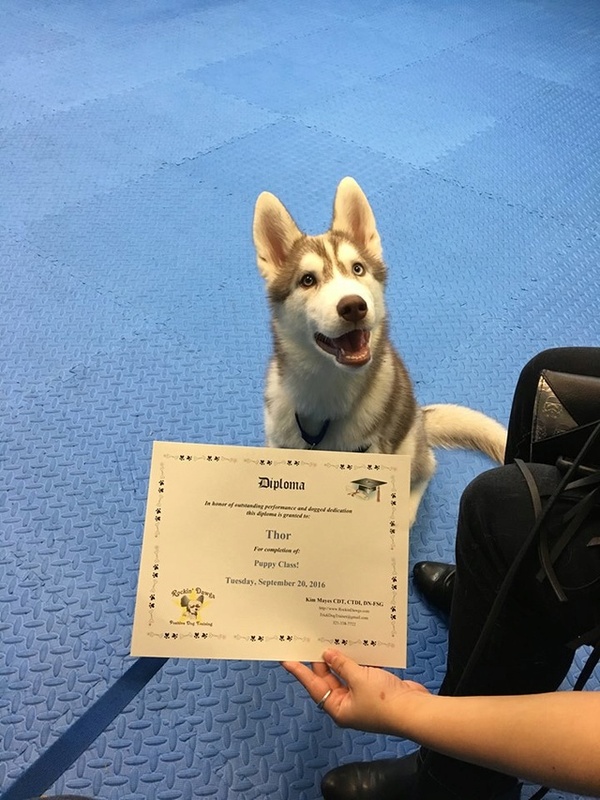 Thor was born on May 07, 2016 and just graduated his puppy obedience class! I'm happy to have found such an informative forum and look forward to learning from everyone. Welcome to the forum, and congrats on the diploma. He looks so happy! Welcome aboard. Can't wait to see more pics of Thor! hi, welcome to the forums, he is adorable love the mask.